Macquarie University has been awarded more than $14 million with 38 projects funded in the latest Australian Research Council (ARC) grants round, announced yesterday. The Minister for Education, The Hon Dan Tehan MP made the announcement for funding commencing in 2019. The grants will go towards research projects covering a variety of disciplines. Some of the successful projects include exploring how brains become lateralised, the role of water in earth and planetary evolution, the demographic and social dimensions of migrant ageing and wellbeing in Australia, an economic analysis of time constraints on decision-making in health, and the history of Australian businesswomen since 1880. 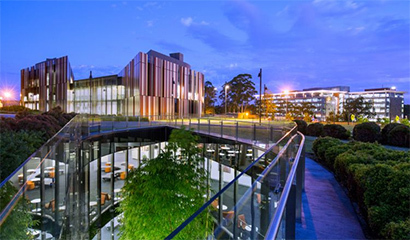 Professor Sakkie Pretorius, Deputy Vice-Chancellor (Research) said the ARC grants were recognition not only of Macquarie’s past exceptional research performance but of Macquarie’s potential across a diverse set of research projects. “I am delighted with the result as it demonstrates the rich research environment at the University that encourages our academics to greatness across a range of fields. The success of this ARC funding round will mean that an array of projects across the University will flourish, allowing us to continue our world-leading research that has real-world impact. Minister Tehan announced more than $380 million in total in Morrison Government funding for university research projects through the ARC. Professor Lyndsey Nickels (Faculty of Human Sciences): Does word similarity across languages help or hinder bilingual speakers?